Residents of Irvine, Tustin, Orange, Newport Beach, Santa Ana and other locals are invited to Milam Chiropractic Sports Therapy for sciatica treatment. New patients receive a free consultation to determine if the source of your discomfort is sciatica. Dr. Milam listens to your symptoms and examines your spine to determine if your discomfort and limited mobility are coming from nerve-related pain and sciatic nerve pressure. If you are experiencing the above symptoms or more, please contact us for a complete evaluation of your condition. 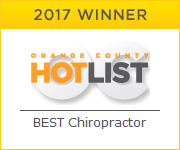 Chiropractic adjustments- the best thing our Tustin chiropractor can do for you is position your spine into a natural and pain-free alignment. Dr. Milam gently nudges your vertebrae into place to take the pressure off the sciatic nerve. This brings an immediate reduction in your symptoms. 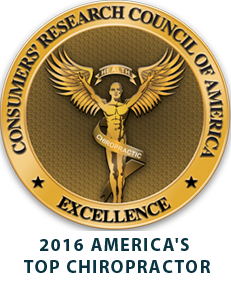 You experience lasting relief when you are consistent with your chiropractic care program. Spinal decompression- this technique aims to increase the amount of space between the vertebrae. Decompression is successful at taking the pressure off the discs which may be pressing into the sciatic nerve. Massage therapy- the muscles in your lower back, hips and legs may be straining to compensate for the sciatic nerve. Massage therapy eases the muscular discomfort and reduces muscle tension that may be pulling your back out of alignment. Cold laser therapy- our cold lasers are helpful for reducing muscle strain and tension. The laser provides pain relief and helps encourage blood flow to the area to promote healing. Sciatica does not have to linger nor do you always need medications or surgery to overcome this condition. We encourage you to let Dr. Milam try a natural relief that places your body into a position in which it will restore itself. Our services do not have side effects and improve your overall health. For more information or to schedule your free consultation, please call us today!